Last week was my last Friday off for the summer. In case you didn’t know, my summers are glorious because I have nearly every single Friday off. It is wonderful, right up until the last freedom Friday. The kids go to day camp every day of the week, so Fridays have pretty much been my catch up day. Anything I haven’t done around the house, like my zone cleaning or small house projects, I finish up on that day. Or, I might record a few videos in the morning while the light is amazing in our bedroom. 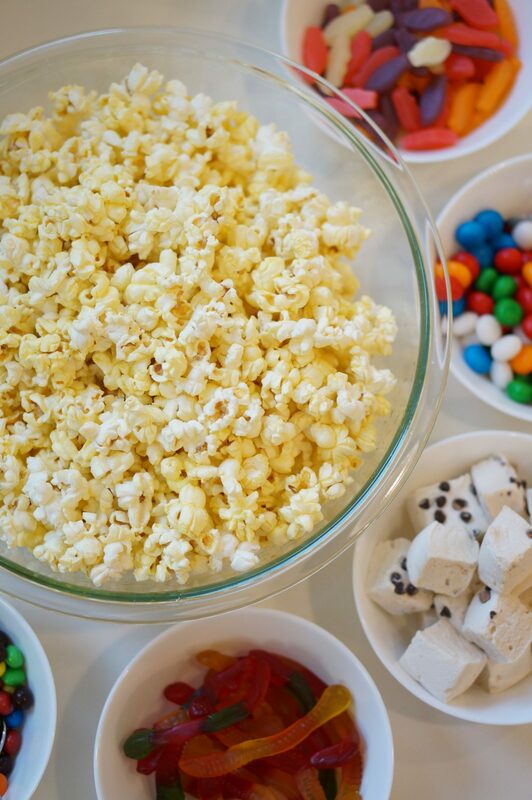 Well, last week I had the bright idea to create a popcorn bar! This summer has been wonderful, and I’ve soaked up every glorious minute of it. At the beginning of the season, one of my goals was to truly enjoy summer. At the time, I really meant my outfits, in that I wanted to enjoy the clothes I’m wearing. Well, I haven’t enjoyed them (more on that another day) but I somehow transferred that intention onto every other part of our lives. This summer has been so wonderful. The kids made some new friends in the neighborhood, so it’s been great seeing them have a blast outside (and running in and out of the house). Our porch has been the most used room of the house, especially after we purchased a gorgeous rug for it. We’ve had some epic games of hide and seek and a very, very long nerf gun war. We are still finding nerf gun bullets under furniture. Our kids still have a couple weeks of summer until they go back to school, but last Friday really felt like the end of my summer. 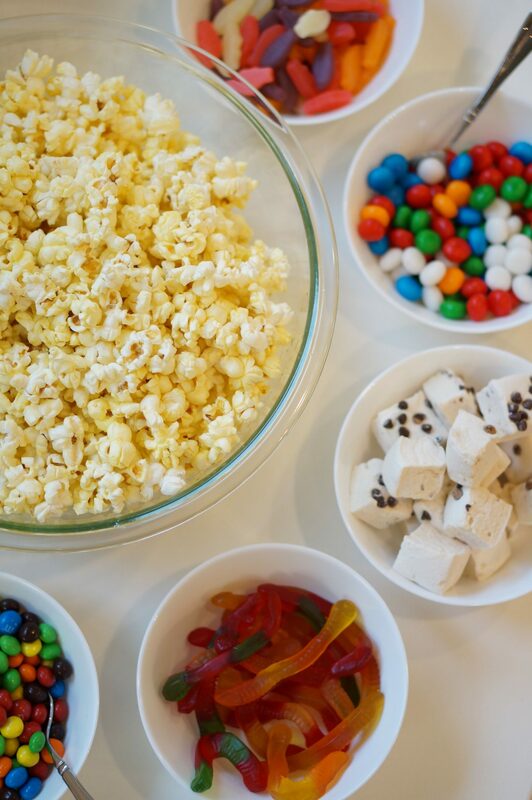 About mid-day, I thought it would be fun to have a movie night and popcorn bar. I’ve been wanting to throw this together all summer but never got around to doing it. Plus, the kids have been begging to rent a Red Box movie, so we just combined two things we’ve been meaning to do and made a night of it. 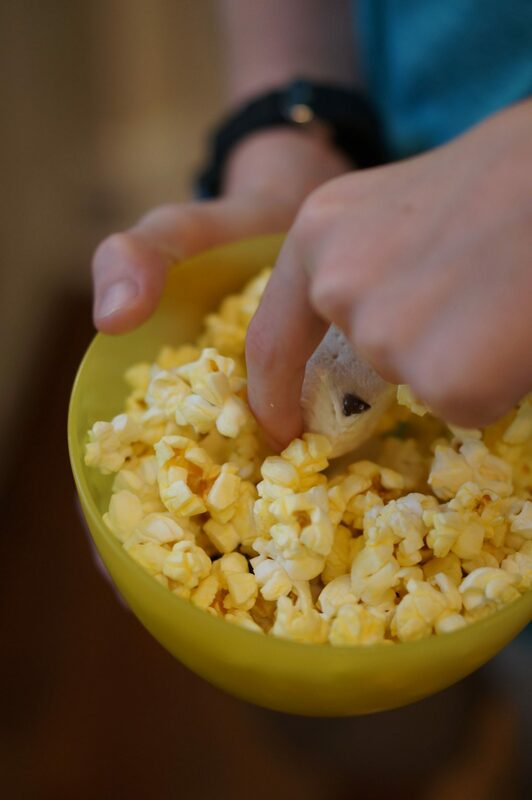 And that is how this popcorn bar came into existence. I even made it easy on myself and bought microwave popcorn. 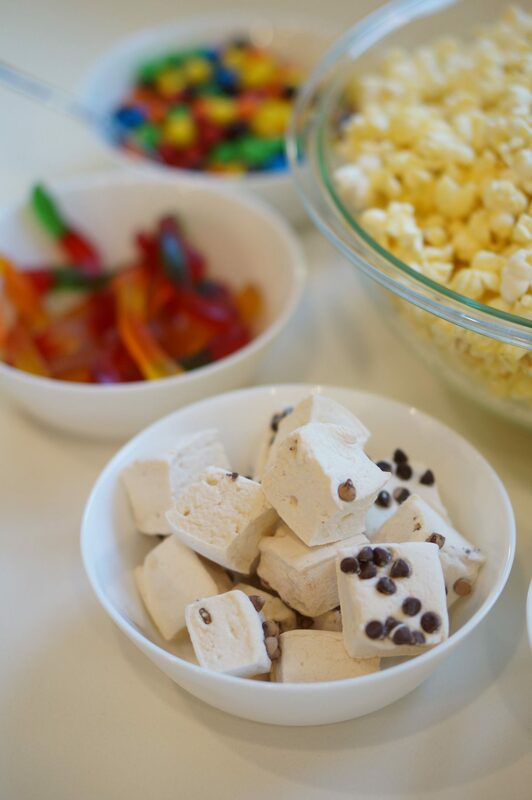 I’m a Whirly Pop (on the stove top) kind of gal, so I was really living it up. 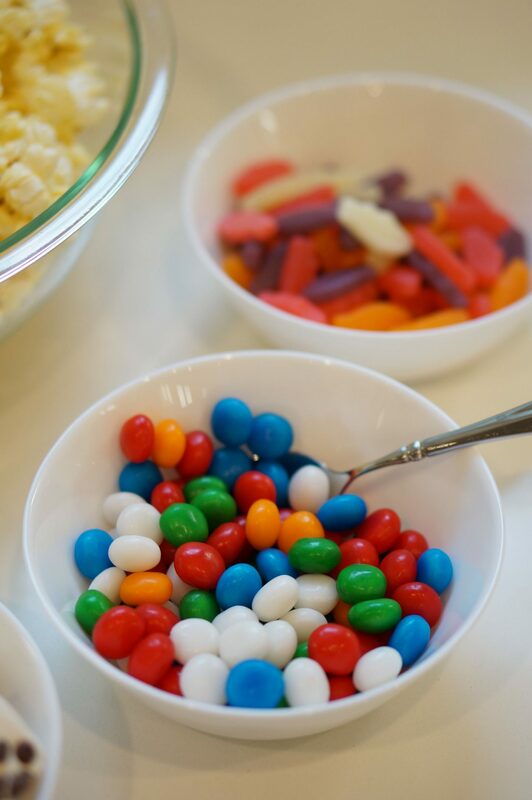 😉 We basically just threw all the candy we wanted into the cart and then weeded out the duplicates. 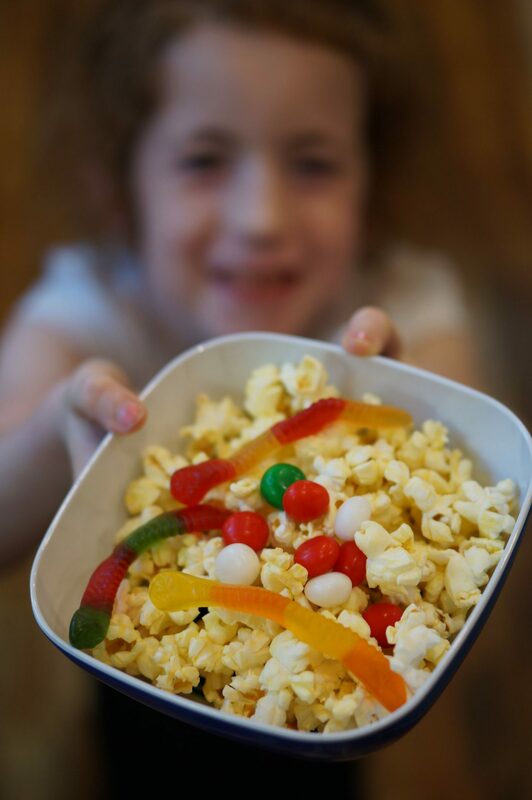 For example, we ended up with a lot of gummy candy, so we decided on the gummy worms and Swedish Fish (tropical flavor! who knew?). 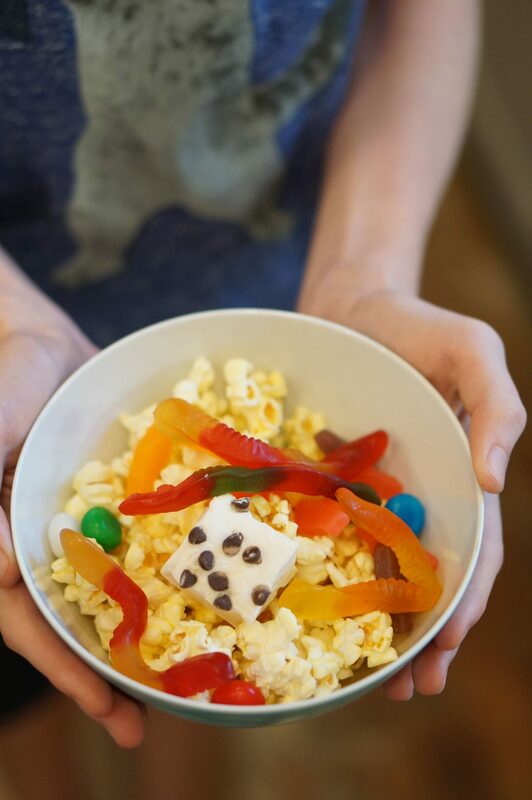 We threw in some Air Head bites, fancy marshmallows, crispy M&Ms, and we had ourselves a feast! 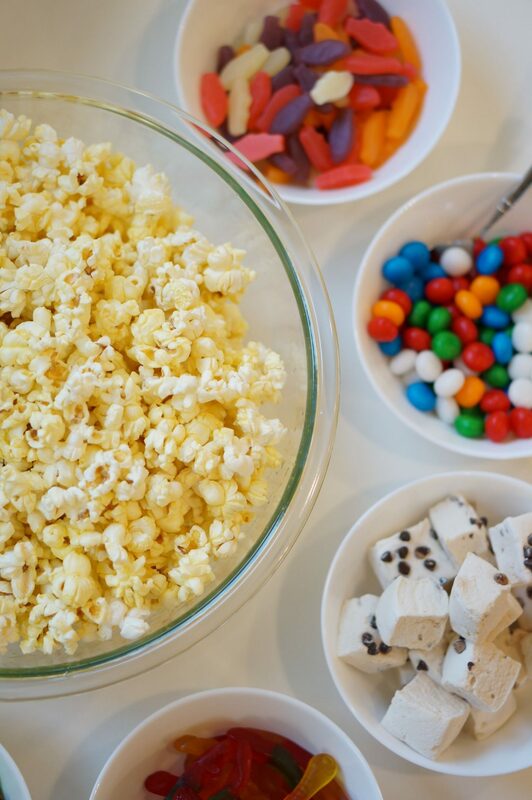 Have you ever done a popcorn bar before? 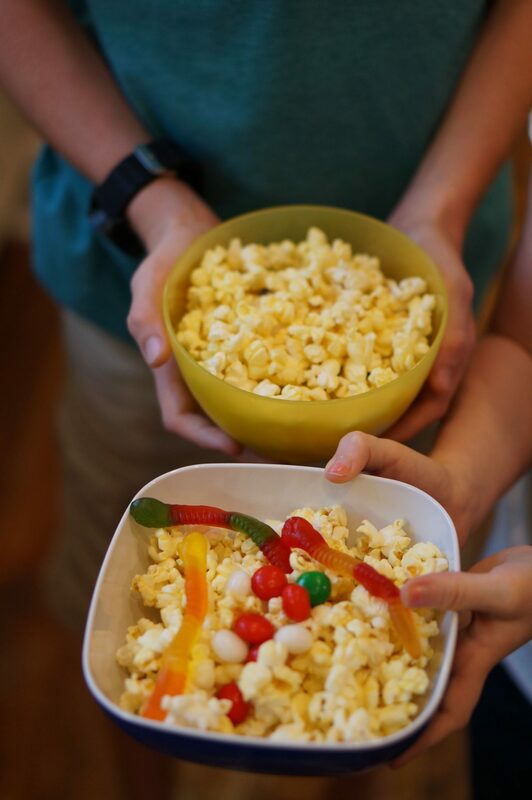 Let me know what you add to your popcorn!